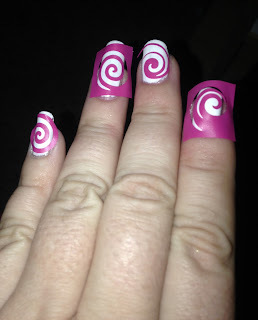 I recently had the opportunity to try and review Nail Vinyls by Glam my Mani.. I was so excited to try them! I received 2 sets of vinyls: a spiral pattern and a diamond pattern. I decided to try the spiral pattern first! 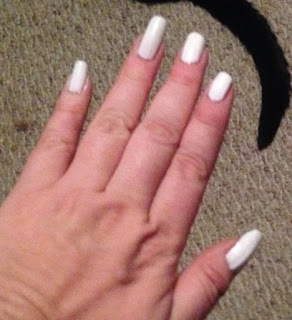 First I applied a base coat and a white polish for my base color. Let it dry completely. Next I applied the nail vinyls to my nails. 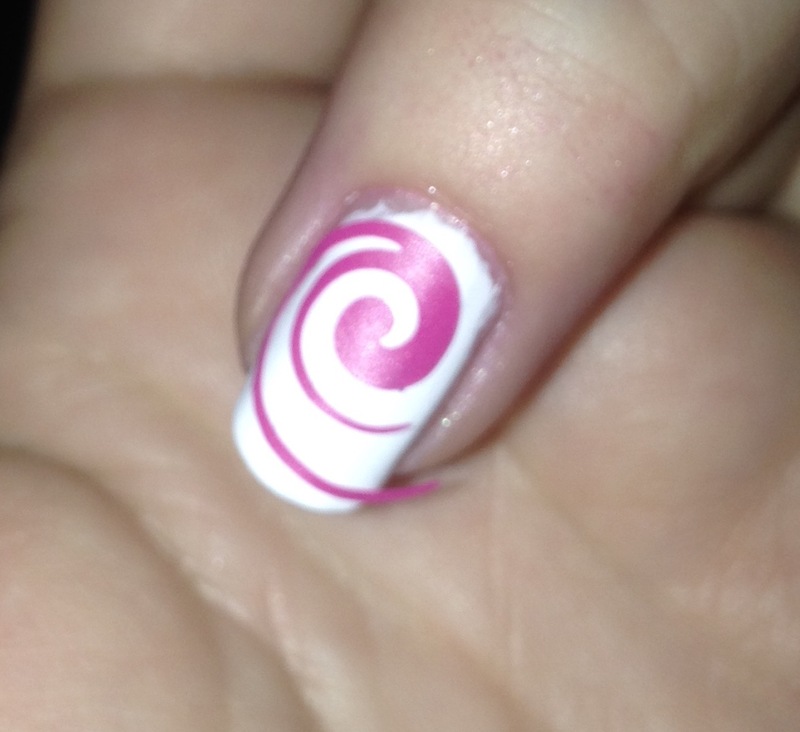 I used the stencil as well as the spiral shape (waste not!). I applied another polish color to my nails and gently peeled off the nail vinyls. Apply a top coat and that's it! Super Easy! 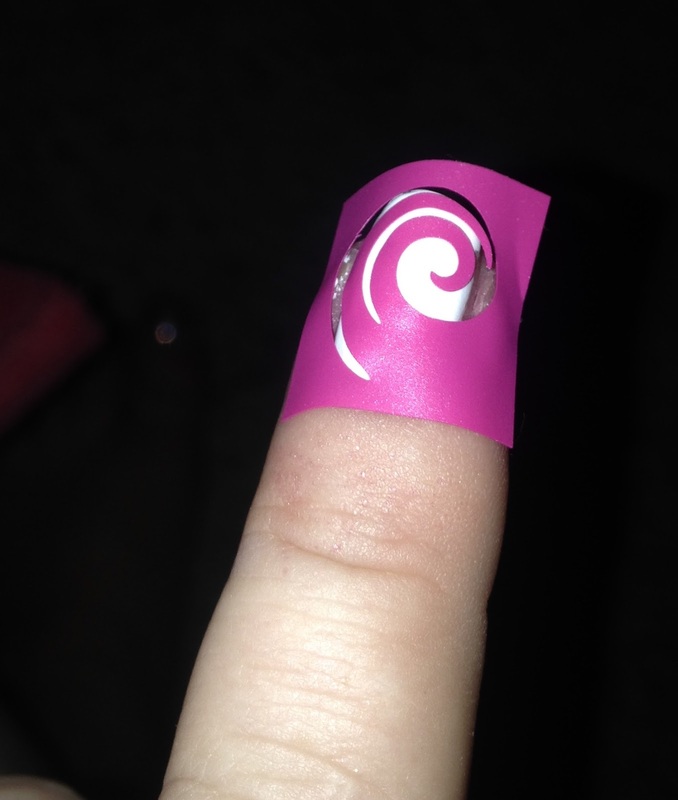 Nail Vinyls come off the sheet easily and though they are sticky they aren't so sticky that they leave any adhesive on the nail like tape can do. The best part is they can be placed and moved several times, in case you didn't get it in the right spot the first time, and still stick once you've gotten the placement right! I recommend removing them with a pair of tweezers so you don't get polish all over your fingers. The easiest nail design ever thanks to Glam My Mani nail vinyls from NailPolishCanada.com! There are a lot of patterns to choose from: Stars, Chevron, Bows, lightning bolts and many more!